jb Capacitors produce Mylar Polyester Film Capacitor with very competitive prices. Mylar capacitor is available in high voltage 1000V and 1200V, also high temperature 105° C and 125°C. Mylar Polyester Capacitor is widely used in lighting and lamps. 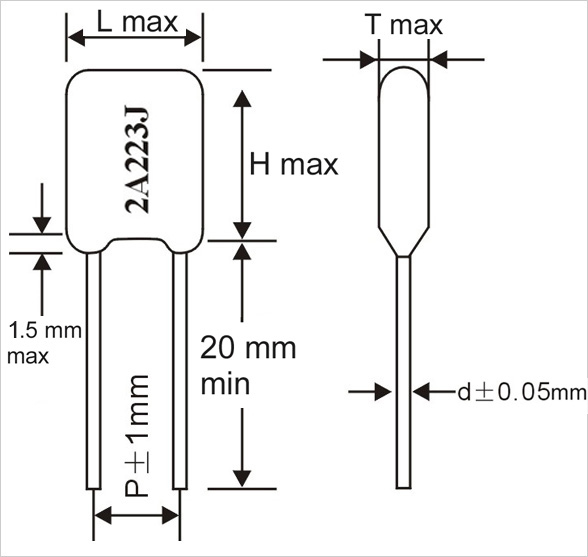 Following are Mylar Polyester Film Capacitor features, specifications and drawing. Inductive welded construction epoxy dip coated. Good reputation in use with consumer & industrial electronics. Optimum for automatic insertion due to their small size and light weight. 200% of rated voltage for 5 sec.